The delicious spring weather has just been so perfect these days, allowing me to push myself to run faster while juggling 3 balls, as well as slowly improving my 4 ball joggling. All this speed means more strain on my muscles and connective tissues, so I am always on the lookout for something or other to maximize my recovery. Juggling while running for an hour or more can produce a lot of inflammation throughout the body, which can damage muscle tissue and hinder the body’s innate healing response. All else being equal, a joggler is likely more inflammed and worn out than a mere runner so we need to be a little more careful to ensure proper recovery. I’ll assume we all know to get enough water before, during, and after a workout, as well as refueling with carbs and protein within 30 minutes after exercise. I usually drink a lot of fruit juice after long runs, along with some nuts or protein powder or will simply have a meal if its meal time. I’ve long believed that the phytochemicals in various fruit and vegetable juices can assist in recovery, due to their ability to protect tissues from inflammatory processes and free radicals. This is partially due to their antioxidant effects, but as I’ve said in previous posts, a lot more is going on. So to me, recovery has long been more than simply getting macro-nutrients, electrolytes, and proper hydration. The cherry juice appears to provide a viable means to aid recovery following strenuous exercise by increasing total antioxidative capacity, reducing inflammation, lipid peroxidation and so aiding in the recovery of muscle function. This sounds good enough to the point that I may drink cherry juice more often after workouts. Now I realize it’s good to be skeptical and cherry juice may not work for everyone, and maybe the study is flawed, but this is just cherry juice, so there is little risk involved. I’m also very curious to see if it will do anything for me. Even if it doesn’t, I love tartness. Montmorency cherries contain high levels of polyphenolic compounds including flavonoids and anthocyanins possessing antioxidant and anti-inflammatory effects. We investigated whether the effects of intensive unilateral leg exercise on oxidative damage and muscle function were attenuated by consumption of a Montmorency cherry juice concentrate using a crossover experimental design. 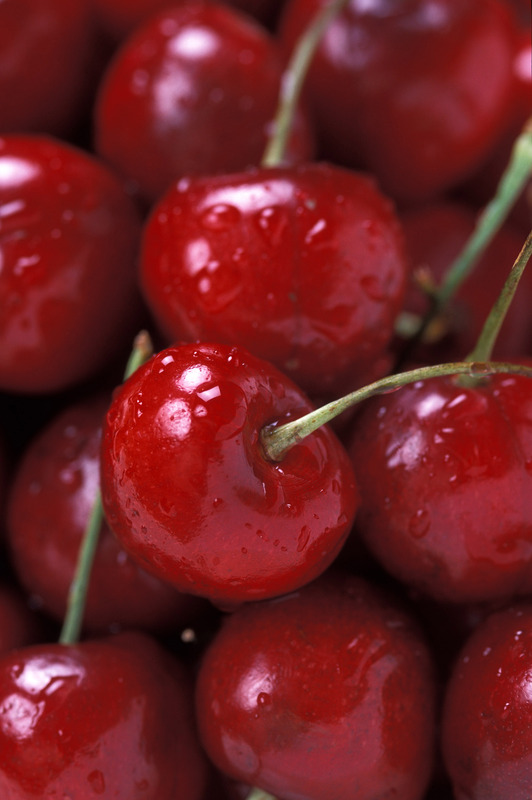 Montmorency cherry juice consumption improved the recovery of isometric muscle strength after intensive exercise perhaps owing to the attenuation of the oxidative damage induced by the damaging exercise. Now that’s some juice! This isn’t very surprising, since we all know fruit has a lot of health-promoting compounds. These flavonoids occur in many different fruits, so it is possible that you can get similar benefits from eating or drinking other fruits. For example, peaches and plums are very closely related to cherries, so they may have similar benefits. Blueberries are also loaded with potent flavonoids, though they are not related to cherries. So grab some fruit or fruit juice after a long strenuous workout, especially the dark colorful ones like cherries or blueberries. Also make sure you get enough protein(I often eat a lot of almonds after workouts) and water. Faster, more complete recovery means being able to exercise on a more consistent basis. Outside of exercise recovery, go easy on sugary fruit juices. They’re okay after exercise because that’s when your muscles need to replenish their glucose. Do it right, and exercise can be a bowl of cherries. This entry was posted in exercise, fitness, health, joggling, Juggling, nutrition, running and tagged antioxidants, blueberries, bowl of cherries, cerezas, cherries, cherry, cherry juice, вишневый сок, exercise and inflammation, exercise recovery, exercise recovery cherry juice, flavonoids, fruit juice and inflammation, fruits and inflammation, hydration, hydration after exercise, inflammation, jugo de cereza, juice for recovery, jus de cerise, Kirschsaft, Montmorency cherry juice, peaches, phytochemicals, plums, succo di ciliegia, tart cherry juice, الكرز عصير. Bookmark the permalink. Another reason to eat cherries! Mm, they are one of my favorite fruits. You could juggle and run with enough practice and persistence, don’t worry. Recovery will be a bit trickier, but it will be worth it. Keep doing what you’re doing. Thanks for your comments. Love the juggling photos! I live in Traverse City Michigan where they grow the Montmorency tart cherries. I have the pleasure of seeing cherry orchards everyday during my morning run. I am able to get fresh cherry juice from Traverse Bay Farms, whenever I need it and it really does work.